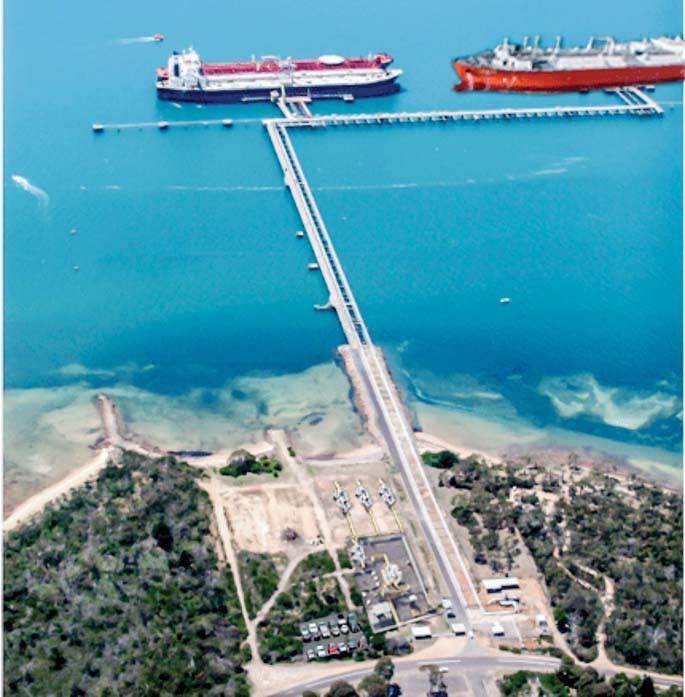 The Save Westernport group has succeeded in getting most candidates for Flinders in the coming federal election to align themselves against plans for a floating gas terminal at Crib Point. Independent Julia Banks – elected as a Liberal to the seat of Chisholm at the 2016 federal election – says she will table a petition next “to stop this development and to protect the Western Port (Crib Point) site”. In a news release, Ms Banks said plans by power company AGL to process liquified natural gas “will mean the discharge into the sea of vast amounts of chilled chlorinated water – the equivalent of 180 Olympic swimming pools a day”. A 55-kilometre-long pipeline to carry it to Pakenham “would cut through internationally significant wetlands and private properties. This project has the potential to cause air, light, noise and water pollution, present fire hazards and risk marine life and aquaculture”. Three other candidates for Flinders, sitting MP and Ms Banks’s former Liberal colleague, Greg Hunt, Labor’s Joshua Sinclair and independent Susie Beveridge, a former Mornington Peninsula Shire councillor, have also said they are opposed to AGL’s plans. In July last year Mr Hunt said he had “long argued that South Port [sic] is not the place for industrial development and my view hasn’t changed in a decade. This includes the AGL proposal for a floating storage regasification unit at Crib Point” (“Libs ‘united’ against gas plan” The Times 10/7/18). Mr Hunt’s statement came one day short of four months since he was first asked by The Times if he opposed AGL’s proposal, which involves mooring a 300-metre-long liquid to gas processing plant at Crib Point’s number two berth. Labor candidate for Flinders Joshua Sinclair, said he had been “advised” that no decision would be made on AGL until the completion of an environmental effects statement due in Sepetember. “Like my community, I oppose the proposed gas project at Crib Point,” Mr Sinclair said. While pointing out that the Victorian Government was “the decision maker” Mr Sinclair committed to “being a strong voice for my community on this issue while we patiently await the outcome of this rigorous process”. “For me, [the fight to stop AGL] is history repeating. The EES for the channel deepening project in Port Phillip was deeply flawed, and we fought hard to stop works at the Rip, which altered the hydrology of the Heads, our protection against climate change,” she said. While not addressing the issue directly, the Australian Greens candidate for Flinders, Nathan Lesslie, said that “without the environment, no other life can exist. Therefore, the environment should in my opinion be considered the most precious of all things”. Great to see this threat from AGL getting coverage on the other side of the Peninsula. With hundreds of thousands striking recently in Melbourne for urgent action on the Climate Emergeny, and universal condemnation of Adani for their irresponsible actions on the Great Barrier Reef, it is remarkable how few people seem to know about the dangerous and unnecessary plans of energy giant AGL to import gas through the internationally protected Ramsar wetland and UNESCO Biosphere reserve in beautiful Western Port Bay. The idea that we would need to import gas in Victoria, which produces twice as much each year as we use, is ridiculous. AGL has miscalculated the amount of Australia’s gas reserves that they can sell on the international market. Now they fear they will not be able to fulfill their lucritive contracts and supply their gas fired power stations. A mandatory federal reserve would prevent this from happening again. It would also protect our precious wetlands from the pressures of greedy and inappropriate import proposals. Australia should not be locking ourselves into a future of fossil fuels and outdated gas pipelines that will soon become stranded infrastructure. Several gas pipelines already operate along the planned route to Pakenham, if government would only stand up to these irresponsible corporations and require that they negotiate for shared use. It’s time these cowboys realised they don’t run the show.